In nature, collective behaviour is a widespread phenomenon that spans many systems at different length- and timescales. Cells forming complex tissues, social insects such as ants creating dynamical structures using their own bodies, fish schools and bird flocks with their synchronous and coordinated motion are prototypical examples of the emergent self-organization which arises from local interactions among a large number of individuals. Unravelling the underlying principles and mechanisms through which such a macroscopic complexity is achieved is a fundamental challenge in biological sciences. 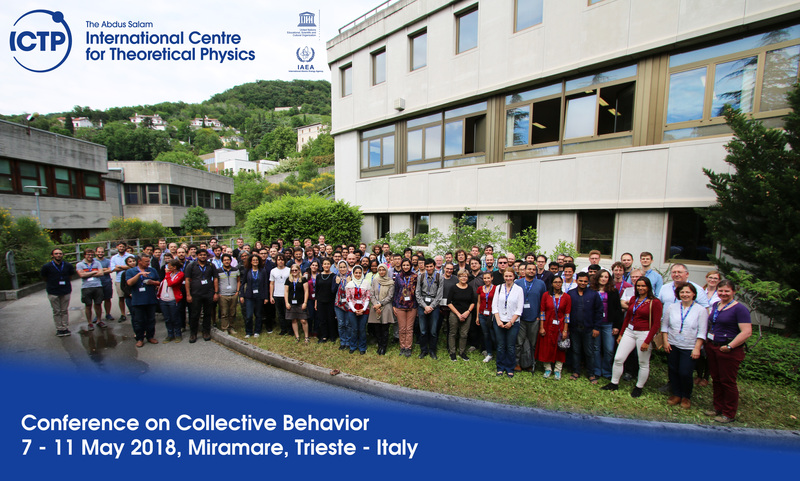 Collective behaviour has become a unifying concept in a range of disciplines—from the spontaneous ordering of spins in ferromagnetic systems in physics, to the emergence of herding behaviour in economy, to the consensus dynamics in social sciences. Furthermore, enormous potential lies in the field of robotics in which, drawing inspiration from natural swarms, artificial collectives can be created with the abilities of the natural ones. A range of techniques have developed over recent years which allow unprecedented acquisition of quantitative empirical data, together with an enormous influx of theoretical concepts and models of collective behaviour. This upsurge enabled scientists from biology, physics, and robotics to start tackling intensively many of the open issues in this field: How is information transferred through a group? What is the structure of the underlying interaction and communication network? What is the role of the inter-individual differences (physiological, social, etc.) in a group decision-making? What is the relationship between organisms and their habitat? However, except on very rare occasions, different disciplines continue to address these problems along separate lines. Recent rapid progress in the collective behaviour field presents a well-timed opportunity to initiate a fruitful interdisciplinary discussion. The goal of this conference is to bring together experts from different scientific fields—biology, physics and engineering—to help identify new cross-disciplinary challenges, to boost the development of new ideas, and to foster the birth of an interdisciplinary community working in this field.